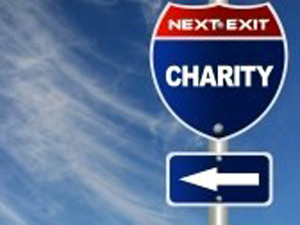 This is the time of year that local charities need your help the most. They undertand that people are trying to get back into their routines and kids are busy with new activities. But, here in Vallarta, some of the local charities are just getting into their busiest giving season after the long hot summer. The six month residents are returning along with the tourists for the high season. They count on the community to help them fulfill those needs. Charities such as our orphanages, women's shelter and halfway house can use clothes and shoes; our libraries and schools can use books and computer equipment; our Fire Department needs everything from bandaids to emergency equipment; our animal protection organizations can use food, animal carriers and equipment; the kids would love your new or used toys, crayons and craft items; the thrift stores always need used furniture even if it needs repair; our senior citizens or visually impaired organizations can use your old eyeglasses; the list goes on and on and we challenge you to find something that you are willing to part with that won't put a smile on the face of one of our Banderas Bay citizens. If you live in the area, you can drop them by the charity of your choice or contact PVAngels to arrange delivery. If you are coming to Vallarta and can pack some items in the corner of your suitcase, that would be great. If you have large items such as cars, vans, boats or fire trucks, let us know and we'll find a way to get them to those that can use them.